You want a photographer whose images you adore and will do your wedding day justice. However, unlike the work of your florist or caterer, a photographer’s work can’t be felt, eaten, touched, or seen (not right away at least). You won’t get to enjoy the final product until after the event. Which means careful consideration and meticulous research is needed to ensure you pick the right professional for you. Overwhelmed? Don’t be. I’ve pared down this process into 7 easy steps for you. Before you even get to looking at lists and recommendations for photographers, you first need to define your vision. It all boils down to what you want your wedding to look like - from your signature color palette to the thoughtful location of your event. Once you’ve determined that, you can dive headfirst into photographers that match your style. Fine Art: Fine art photographers capture images that are meant to be appreciated as visual art. Careful attention is paid to the composition of each photo - the lighting, background, subjects - in order to tell a specific story. Many fine art photographers use a mix of film and digital photography and produce a wide range of styles, from light & airy to dark & moody imagery. If you are planning a wedding in which the aesthetic of your event is paramount, a fine art photographer is the best option. Photojournalistic: If you want to stray away from your parent’s posted wedding portraits, a photojournalistic (or documentary-style) photographer is at the other end of the spectrum. This style of photography captures candid and spontaneous shots. The hands-off approach of photography means that you’ll rarely see people staring straight into the camera and most of your guests will never feel watched…they may not even notice your photographer at all! These images will capture each moment exactly as they happen and weave together an intimate and authentic story. Editorial: Love the look of big fashion magazines like Vogue and Vanity Fair? Editorial photography might be the right fit for you. This style of photography is an artform in itself. You won’t find many candids here, but instead sweeping and dramatic imagery meant to evoke a larger-than-life feeling. Expect lots of direction and collaboration with your photographer. Are they consistent in their style? Can you picture you and your honey in those shots? Will these images still look relevant on your walls and photo albums in 10 or 25 years? If you answered yes to all of these, mark them down on your list and proceed to step two! Once dinner has been eaten, dancing is done, and the last of the cake gone, all that remains are your wedding images. Wedding photography immortalizes the day for years to come and while photography services come in at all different price points, what’s most important is VALUE. The value you’ll get out of your collection of images when everything is said and done. Once you’ve evaluated how important these images will be to you and your family, consider your budget and what types of packages each photographer offers. But sometimes comparing photographers and their respective package can feel like apples to oranges. Do you really need 1,500 photos or is having 300 high-quality images enough? Is 10 hours of coverage overkill or will 7 be enough to take you through the day? What are your musts, your wants, and your can-do-without? Learn what’s included in each package, plus the rates for extras like an engagement shoot, save the date cards or additional hours of coverage, so you can compare rates. One thing you never want to compromise is quality. It doesn’t matter if you want a full day of coverage and all the images from your event or just 100 high-quality photos. All of your images need to be consistent in style, well composed, well-lit and meaningful. How many weddings have they shot? Where do they work? How will they guide you through the process? No matter what their experience level is, your photographer should outline every step from reviewing the contract to making a schedule for the photo events of the day, and be clear on expectations for post-production time and photo delivery. I hope that you’re enjoying these tips and finding them helpful! As always, if you have any questions, don’t hesitate to get in touch with me! You want to be excited about all the vendors you hire for your wedding day, but nobody will interact more with you and your guests than the photographer. This means you need to mesh. Don’t hire a loud and extroverted photographer if you’re looking to have a more subdued event. You want to feel comfortable and confident in your photographer, so get to know them beyond their stylistic approach to their work. Are they bright and bubbly? Or more subdued and quiet? Will they be able to bring out the best in large groups? In shy guests? Your images should show you looking happy and in love, not stressed because you hired a photographer that can’t handle a rowdy bridal party. Also, be sure to look at their portfolio images. How do the subjects look? One quick peek will either show awkward posing and deer-in-headlights or easy-breezy, natural revelers. In turn, your photographer should also ask lots of questions and be a good listener so they are clear on your expectations for the day’s captures. Consider booking an engagement shoot for a test-run or just to get to know each other better… You will be happy you did! If you would like to learn more about my wedding collections and engagement sessions or if you have any other questions, I’d be happy to jump on a quick phone call with you. You and your photographer both need to know the other’s expectations. Will you be having a larger wedding? Does the photographer have an assistant? Will they need a break for a nourishing meal? Discussing bigger-picture details - as well as the minute things like the number of images you want, how and when you’ll receive your previews, retouching fees, etc. - with your photographer will help minimize any potential hiccups and leave both of you pleased with the outcome. Any professional worth their salt will have a legal contract ready stipulating expectations for your day, liability insurance, backup equipment, and a rock-solid game plan in case of an emergency. If you’d like to see what you can expect if you choose me as your wedding photographer, just reach out and we can set up a time to chat. In a world of social media and instant gratification, it might be tempting to just go home with digital files of your big day. But don’t you want a gorgeous heirloom album or photo box to help you remember the most important event of your life? Forget those dated slip-in albums with glossy photos and gilded edges. Today, most photographers will offer heirloom products that highlight your day in an artistic, inspirational manner. From coffee table linen albums to luxe folio boxes and framed wall galleries, you can relive your favorite images every single day. Let your photographer show you their sample products and see which ones you fall in love with! Most photographers will also be able to create fun photo items from an engagement shoot, such as save the dates, sign-in books and even thank you cards. You NEED a wedding album. You NEED prints. And let me say this from the get-go. Any photographer not offering you an album or prints is doing you a disservice. If your precious wedding photos spend their lives only on the laptop or some online gallery. End up in a super shiny photo book where the colors look terrible because the printer quality is wrong. That’s probably the biggest downer after the wedding for me. Photos are not made for the screen. They are made for print. They are made to be held in your hands. For your grandkids to find them in 50 years and hold them in their hands. Come on, how cool was it, when you first found your grandparent’s wedding picture and ran your fingers over it? You need a quality wedding album - it is an investment in your future and beyond. I find it incredibly fascinating to look at old photos of our relatives. It's such a shame that there are so few of them, because during that time you just didn’t photograph as much. Photos were something special. Something valuable. So the way you are feeling while looking at faded family photos these days, one day the generations after you will go through the same feelings when they look at your pictures. What a beautiful legacy to have and to hold, if you can carry on an entire album of your wedding, and they can hold it in their hands and tell the stories of Grandma and Grandpa’s great love. Sounds corny? I don’t care. I’m here not just for you but the future you. I also don’t take these pictures for just you, they will live longer than you. Crazy thought, I know. But it’s true. I take pictures for your family, your kids and grandkids. If you decide not to have any, these images will still outlive you. They will be proof that you existed. That you loved and were loved. Give them a worthy frame. So you’ve found a few photographers that tick all of your boxes: their images are incredible and fit your style, their rates are in your budget, and it seems like their personality will be a good match for you. Now you’ll want to make sure they have your date available and then schedule a meeting. Some couples decide to hire photographers that aren’t exactly local to them and that’s ok! Thanks to modern technology meetings can be conducted over apps like FaceTime and Skype. This is when you will discuss your wedding, your style, the venue and your vision for the day. There’s no such thing as too much detail, so be clear and concise about what you want out of hiring this photographer. At this meeting, you’ll want a photographer that’s engaged who asks lots of questions and answers all of yours with confidence. If their answers, imagery, and products give you the tingles, you may have found your photographer! Once you have secured your date with a contract and retainer, be sure to stay in touch and use your photographer as an industry expert. They may have fantastic advice on everything from timelines, styling, decor and finding other top vendors. There you have it. My best tips for choosing the perfect wedding photographer. I hope that you found this guide helpful and that it makes your wedding planning a little bit easier. I hope that you found my tips for choosing a wedding photographer helpful. Choosing a wedding photographer is one of the most important decisions that you’ll make regarding your wedding. You’re going to spend a significant amount of time with your photographer on your wedding day and they are the person that you are trusting to capture priceless moments and memories. It’s important to pick the right person! If you’d like to talk to me more about your wedding day and your photography needs, feel free to contact me via the button below. I look forward to hearing from you. 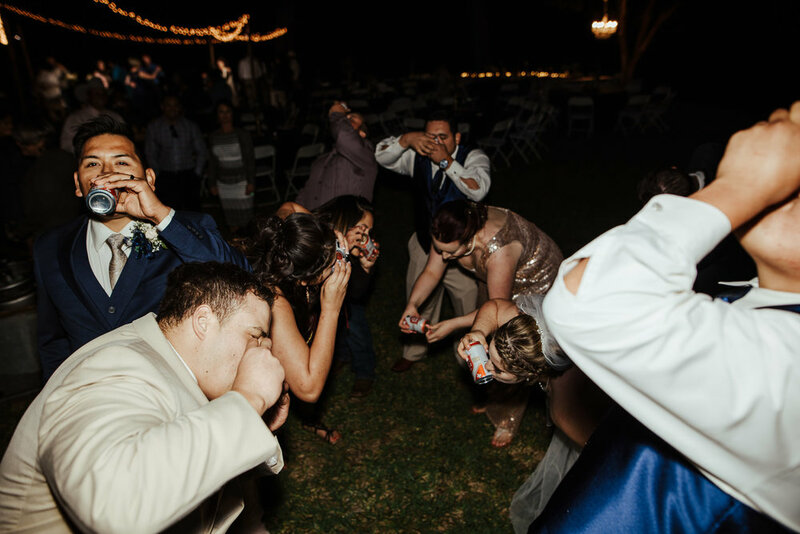 Anthony Godines is a Texas and destination wedding photographer based in San Angelo, TX offering wedding photography in Austin, Dallas, San Angelo, Abilene and across the state of Texas as well as nationwide.